It is the time of year when many beautiful and naughty insects fly into the garden. This one is a particularly glamorous yet evil little beastie. 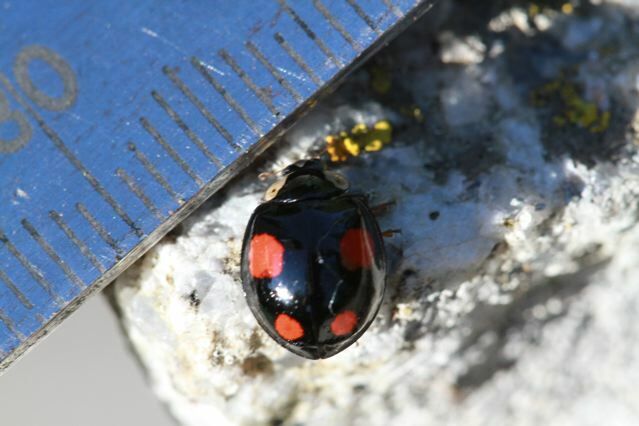 The red lily beetle, flies around like a ladybird, but has a very good playing dead pose balanced on its back with its feet and antennae tucked in. 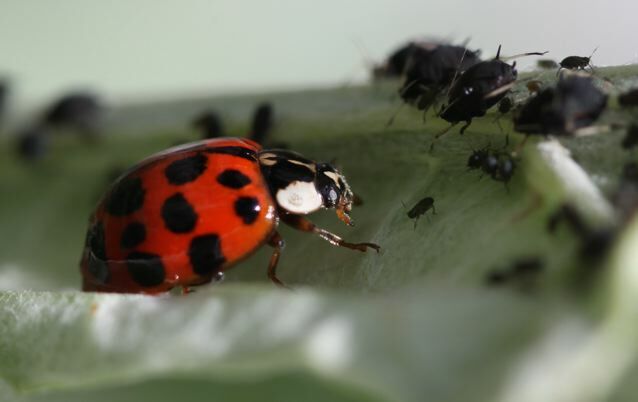 If you disturb the lily beetle at work; munching foliage, mating, or laying eggs , which are its main pastimes, it drops to the soil and is surprisingly hard to spot as it lies on its back. 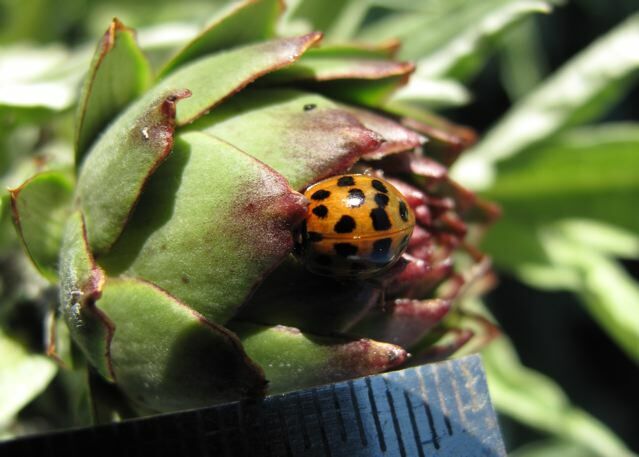 This entry was posted in Garden and tagged bee fly, garden insect, plants, red lily beetle, the lily beetle on 30/03/2012 by Joanna.